Dell has a long history of serving schools’ education technology needs. 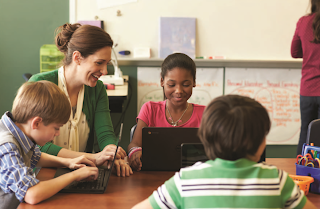 Today, they join the Google for Education family, announcing the new Dell Chromebook 11. 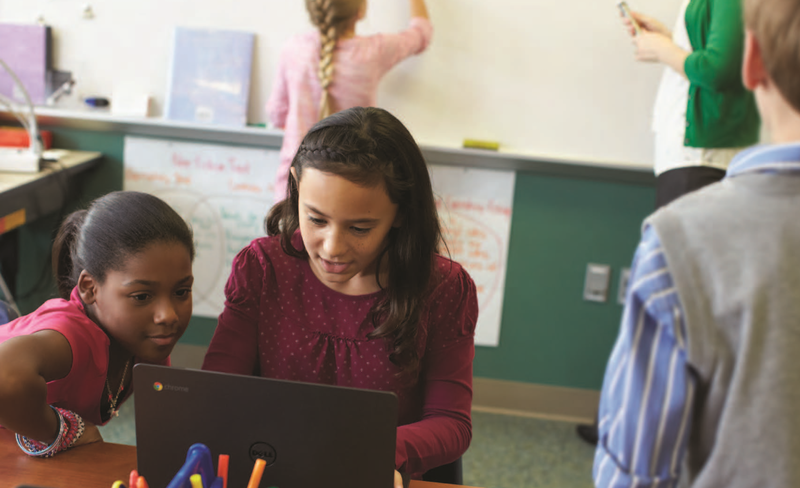 The Dell Chromebook 11 was designed with schools in mind. The battery lasts up to 10 hours -- enough for a full school day plus homework -- and boots up in 8.4 seconds. It is light and highly portable, making it ideal for student use at home or on the go. And like all Chromebooks, it includes the cutting edge in security features, keeping schools protected from online threats. The device will be available in two versions - 4GB in January 2014 and 2GB in Q1 2014 - both for under $300. The new Dell Chromebook 11 joins a family of 5 other Chromebooks that are verified for the latest education assessments. Both Smarter Balanced Assessment Consortium (Smarter Balanced) and the Partnership for Assessment of Readiness for College and Careers (PARCC) verified that all Chromebooks meet their requirements for standardized assessments in the 2014-2015 school year. With the shift toward online assessments and the Common Core State Standards, Chromebooks are helping schools achieve their goals. To learn more about Chromebooks for Education, please visit our website and fill out our contact form to speak with a member of our team.